Having met thanks to their husbands, co-founders Fatin and Irene were enjoying sinful chocolate cakes and ice cream in a café. And innocently asking that simple question was all it took for them to pump RM100k into the business. They began making healthy desserts in January 2016—starting with a mandarin flavour because it happened that it was Chinese New Year season, and mandarin oranges abounded in supermarkets. “It turned out so delicious, you wouldn’t know it’s the healthy stuff! I continued my R&D with several other flavours and we officially took order online via Facebook and phone by February 2016,” said Fatin. And since the ingredients are inherently healthy, Fatin and Irene aren’t concerned about calorie-counts. Instead they turn to an in-house nutritionist to tell them if their ingredients contain “good calories”. The Honest Treat serves up desserts that are completely raw—no refined sugar, gluten-free, dairy-free, and vegan. Functioning both as a café in Jalan Sri Hartamas and an online shop, the running theme behind The Honest Treat is that all of their ingredients are in their most raw and natural state (or RAWsome, as they would say). With this rule in mind, they released two main lines of products (though the pair have tapped into other experiments as well). 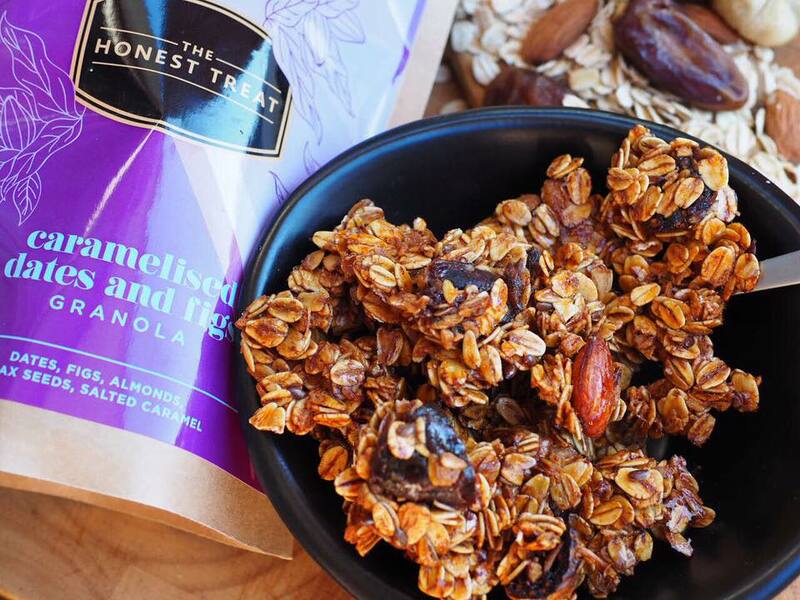 First is the granola—the most commercialised healthy treat on the face of the earth after just eating a fresh fruit. Taking advantage of having jetsetting business partners, Fatin and Irene would receive delicious granola samples from them, which they then attempt to recreate in the kitchen. Their next offering is the most tantalising—sin-free cakes. 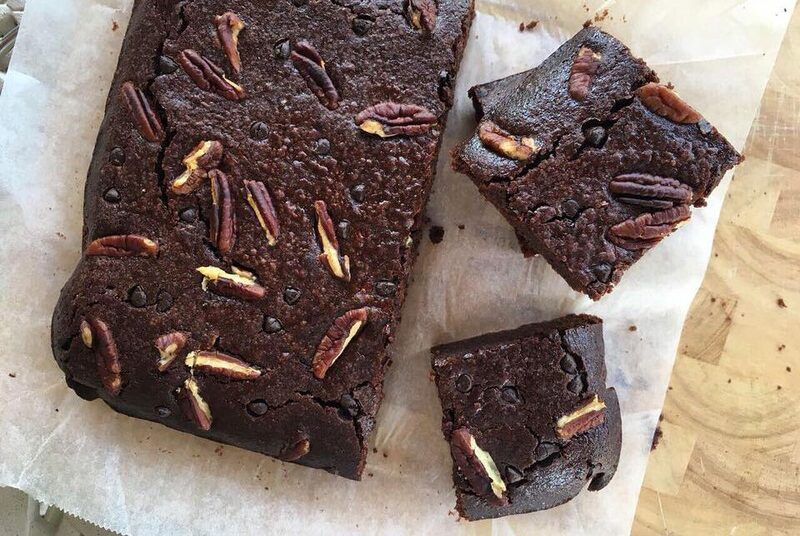 They’re sold at a higher price point than your average cakes but instead of flour and eggs, the cakes are held together with ingredients like dates, a variety of nuts, agave nectar, and coconut oil, among others. But it wasn’t as easy as they thought. 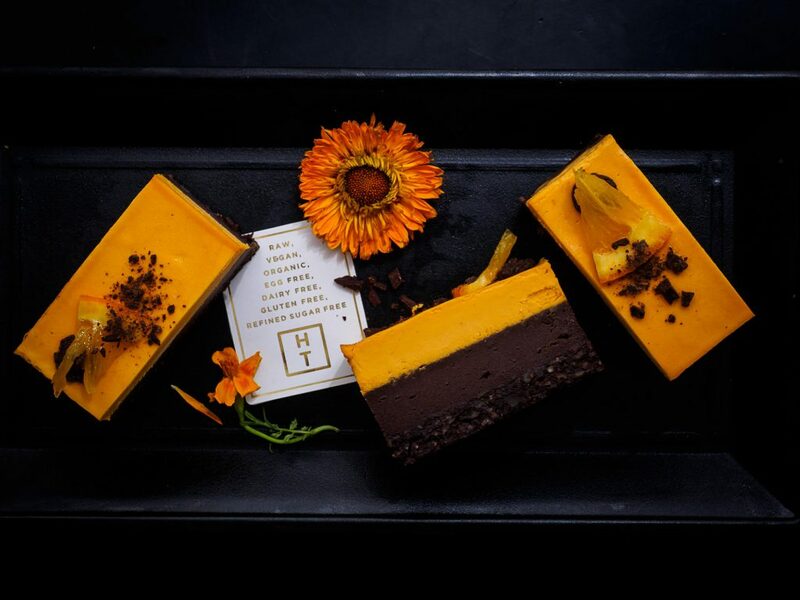 Because Malaysians were still not familiar with the concept of a raw, vegan, and gluten-free cake, The Honest Treat’s early adopters were mainly expats already familiar with the concept. So the pair had to double down on promotions. They sent out cakes to influencers, served samples to walk-in customers, and even collaborated with vegan bloggers to spread the word. The main challenge? They needed to adapt recipes online to make sure that it doesn’t melt in our humid and hot weather—and adapt them away from Mat Salleh tastebuds into something more local. They mainly shop in organic shops for their ingredients, because, “You can’t really find most of it in the local bakery supply shop”. Almost all of their cake ingredients are imported from around the world. For example, almonds and pecans come from the USA, cacao butter and cacao nibs from Bali. “Hence, why our cake price is quite premium,” admitted Fatin. 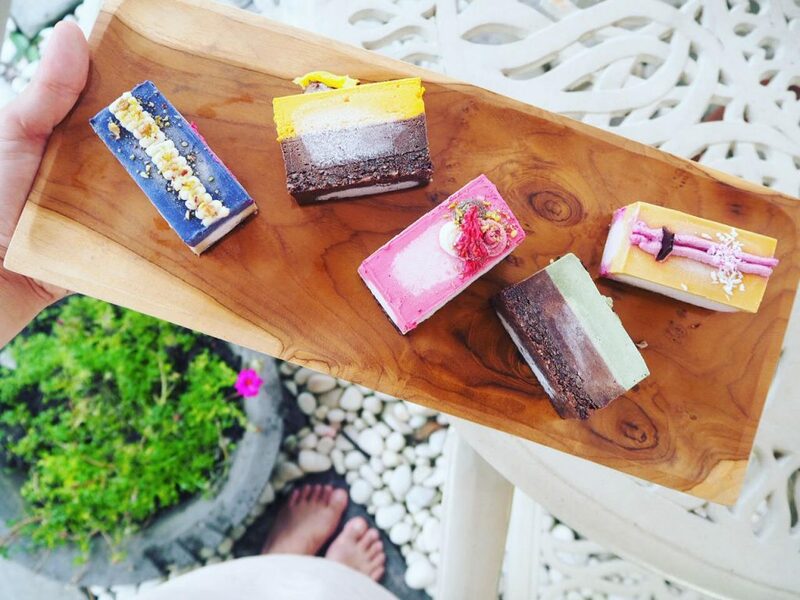 All of their cakes are priced at RM109 per box (not including their RM45 shipping fee), except for their mixed box where buyers are able to mix and match the flavours they want to buy. Their business sounds great on paper, but the pair faces some challenges getting the raw treats known to our local community. To be frank, it just isn’t something in our mainstream vocabulary just yet. So to hit a market that is already interested in health, The Honest Treat partners with the more established La Juiceria. In fact, The Honest Treat is La Juiceria’s sister company. The Honest Treat actually makes more sales through La Juiceria outlets. Meanwhile, the number of of sales in The Honest Treat’s store is growing, but the pair isn’t content to sit still. 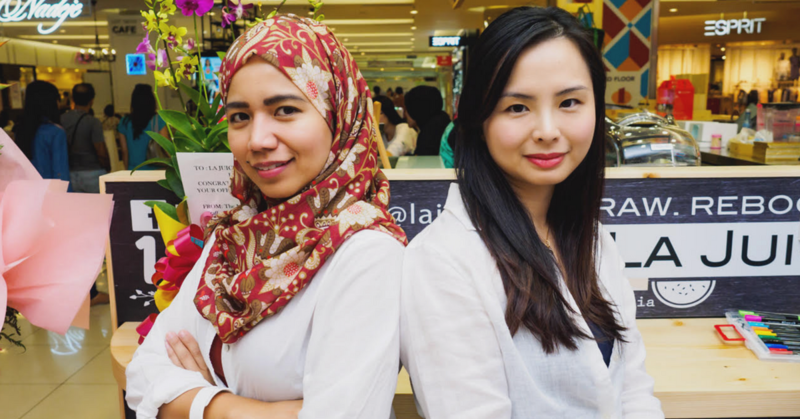 “We realised that we need to keep being relevant to the market,” said Fatin. If anything is clear, it’s that these resilient mummies aren’t giving up on their concept for a sin-free dessert. It’ll be a tough hill they have to climb to fight the strong preconception that healthy = not delicious. It is clear that this is a fight they’re willing to take in the long run. Now, it’s just the issue of how open Malaysians will be to what Irene and Fatin are serving.